Review and comment on the draft Public Involvement Plan through May 10, 2019. Help protect your community from natural hazards or disasters by completing our online survey or attending an upcoming open house. East-West Gateway and the National Association of City Transportation Officials (NACTO) are hosting a one-day Bicycle Planning Workshop. 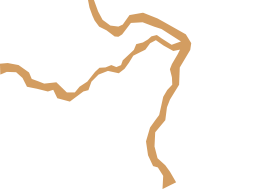 EWG provides a forum where local governments in the bi-state St. Louis region can coordinate and work together to address and solve problems that cross jurisdictional boundaries. Transportation improvement program (TIP), long-range transportation plan, and more. Community engagement, air quality, water resources, local government services, and more. Regional security programs and the St. Louis Area Regional Response System (STARRS). Data center, geographic information system (GIS), maps, Where We Stand, and other reports. View open requests for proposals (RFPs) and more. EWG’s Title VI Program and related documents. A reference guide of counties and municipalities in our Region. GIS services and maps, including the map of the month.